Over the last half a decade, online bookings have revolutionised the way by which consumers look to avail the services and delivery methods. In fact, almost 70% of people around the globe prefer to book online for services. 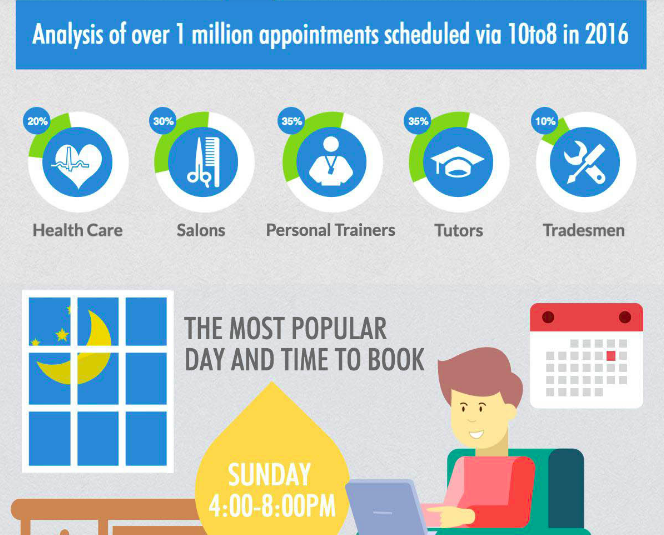 Now either it’s a matter of doctor’s appointment, booking travel or movie tickets, freelancers and companies scheduling their hourly slots and timings, hotel reservation and many more, bookings done online has increased consumer penetration and decreased the workload from the vendors. In this era of Ola and Uber, where most of the commute is done by online booking, if you are not allowing customers to book your services, you are missing large chunks of opportunities. We believe online booking system should not be only limited to cabs, hotels, travel operators. 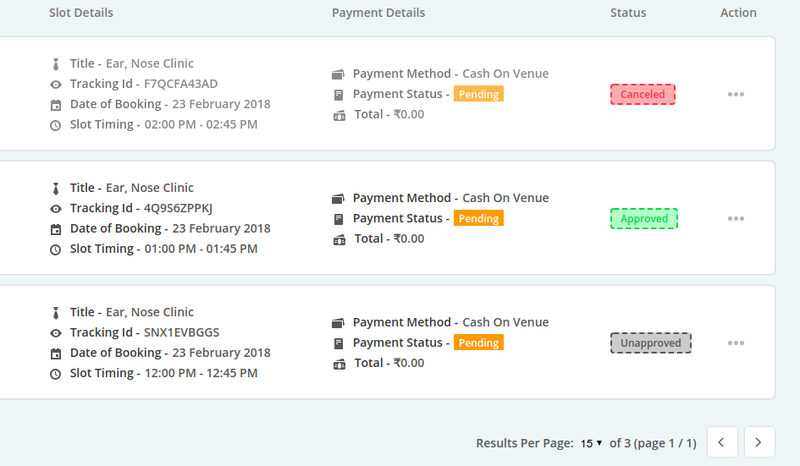 A doctor sitting at his clinic should be able to create bookings so that his patients can book at any time and from anywhere, a freelancer can create an hourly slot of his timings, a lawyer can create his schedule for the meeting. 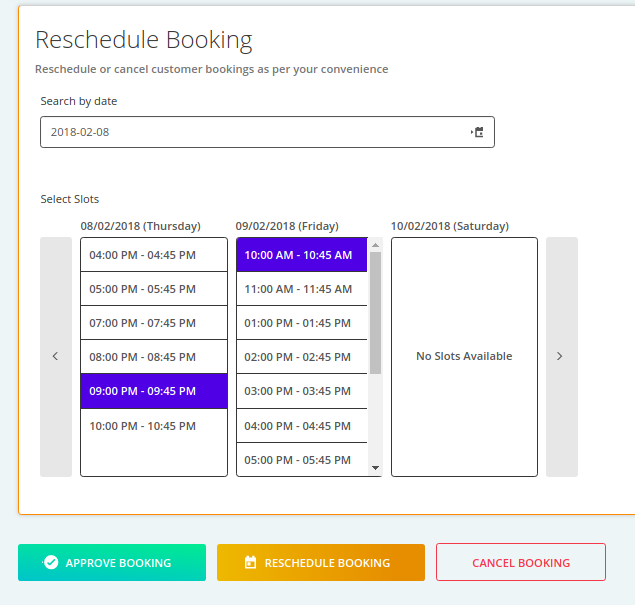 In other words, a complete booking management solution is the need of an hour, where you can create bookings of any type and for anyone regardless of the profession. In the era of cheaper and faster internet, when the e-commerce industry has taken over, everyone is looking for an online solution for their needs and if there’s no facility to avail online bookings, you are losing your prospects. The workload of back office simply increases as they have to do the variety of manual work and have to be on the field to get customer requirements. Time is the key and most of your time is spent doing paperwork, making phone calls and on the field. Creating the marketing strategy and doing upselling usually were not looked upon which ultimately affects your sales. The absence of online booking system not only diminishes your physical availability but also creates set back of your online presence. 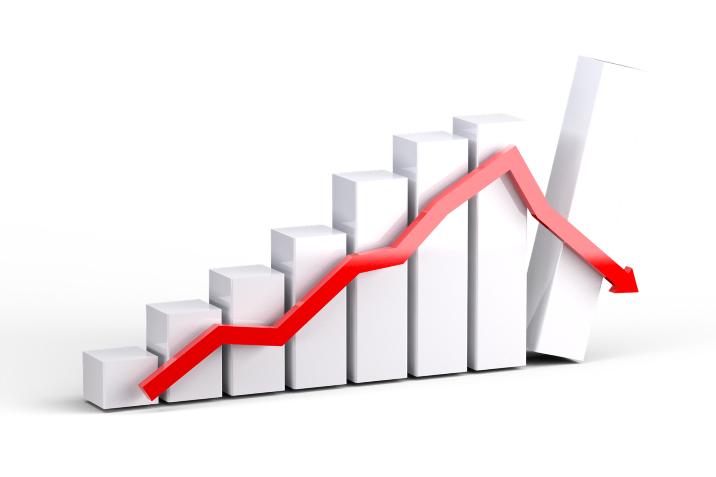 If you are not able to generate traffic on your web portal, you will be slowly losing your brand value also. When the customer feels like visiting your place to get a booking, usually they end up with no show-up. With online booking, since the payment is made in advance, the rate of no show-up decreases. 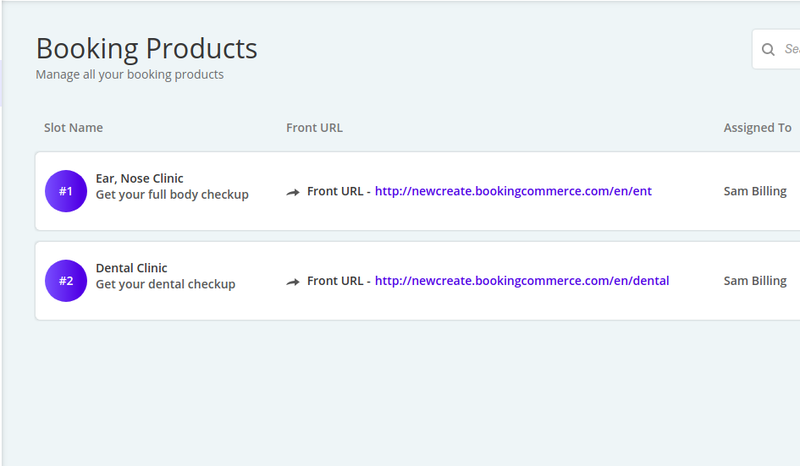 At bookingcommerce.com, we strive to provide individuality to the booking system. Introducing the world’s first booking management platform of its type, bookingcommerce is THE solution to all your bookings needs. Easily manage all your customer booking according to your schedule and needs. Addition to that, let your customer free and create bookings on behalf of them. Create as many paid bookings as you want on the go. 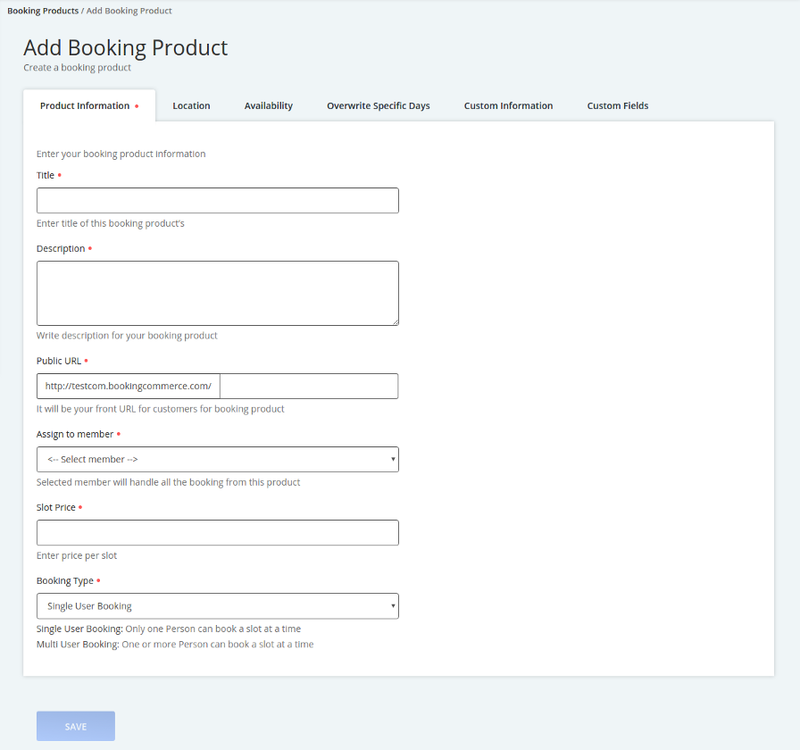 Easily create booking with complete details regarding location, availability and custom fields. In Addition to that, you can also create unlimited bookings for the free services and products. Create multiple agents and assign privilege to control your admin panel. 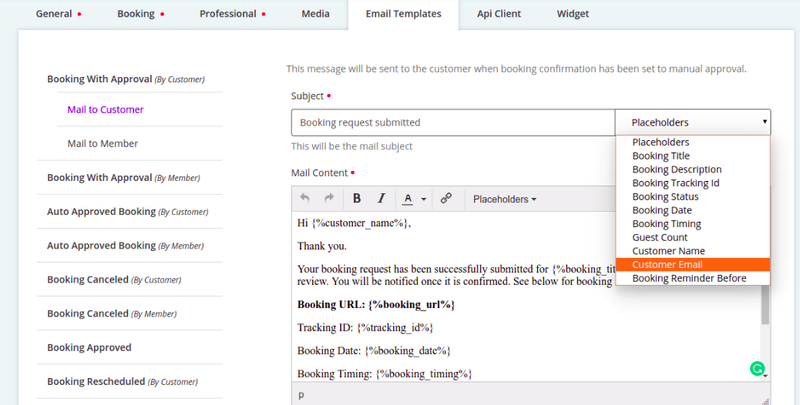 Create an automated customised e-mail template for enthralling customer experience. 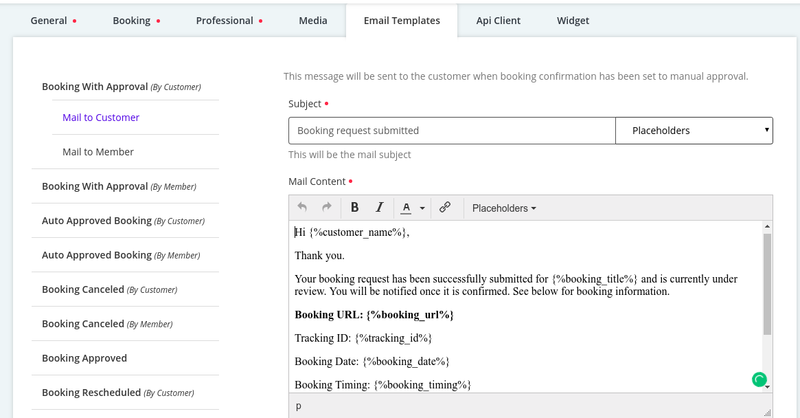 Not just you can create customised templates, but also you can add small snippets of code in the form of placeholders anywhere inside the content. Have more flexibility in customer bookings by scheduling and rescheduling bookings as per yours and customers convenience. Manage reviews given by your customer and filter the most relevant reviews to be shown. For better customer experience, you can integrate multiple apps like Google Calendar, Cash on Venue, PayPal and ICS File with bookingcommerce.